Last week was the kids’ Spring Break. The family headed up to West Virginia to visit my parents, thanks to their offer for us to take their riding lawn mower. My Dad bought it 1-2 years ago, but they don’t use it much. I guess they felt sorry for us with our larger-than-necessary lawn…which I discussed last year when I measured how many miles I had walked to cut my lawn with our 22″ wide mower. We drove a VERY long day on Saturday. Thanks to some Choice Hotel loyalty points, we got a free hotel room in Roanoke and were at my parents by Sunday at lunchtime. 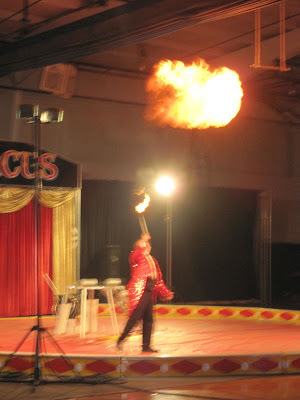 My parents had arranged a nice surprise for the boys: a trip to the circus! 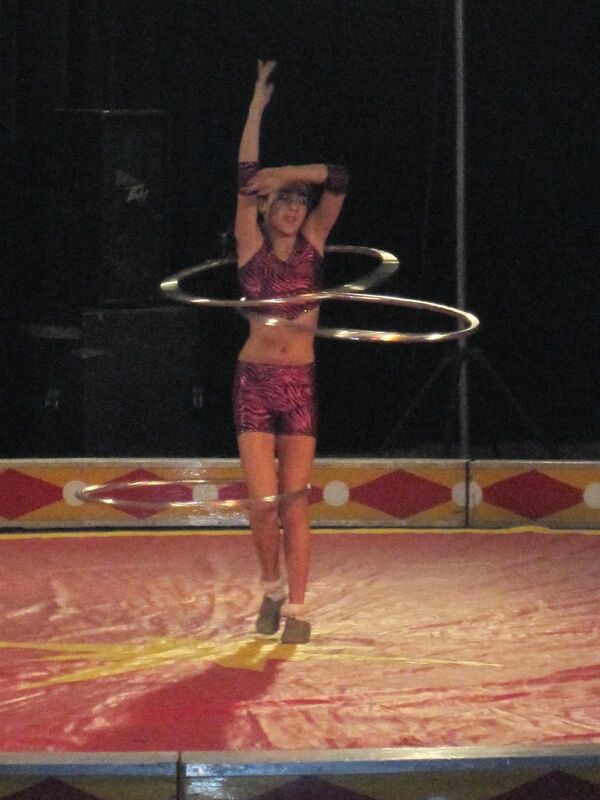 This is a circus that set up in a gymnasium. Small, but for the kids, it was a lot of fun! 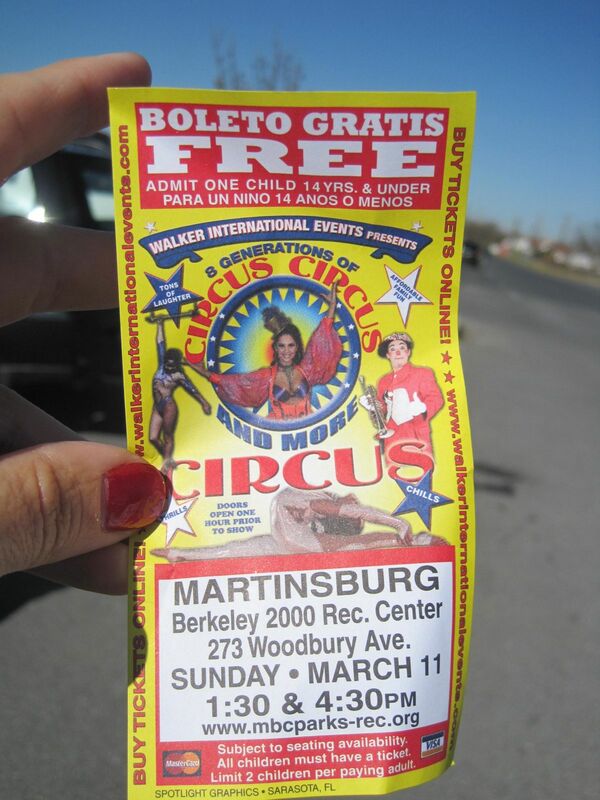 The Walker Brothers Circus travels around the eastern United States. It’s a very small operation, with the ringmaster taking our tickets at the front door, and the acrobats selling concessions when they aren’t actively performing. The entire event is very small, unlike the larger Ringling Brothers circuses, so there were several chances to personally interact with the performers. Ever see those free tickets at local grocery stores? That’s the type of circus we went to. 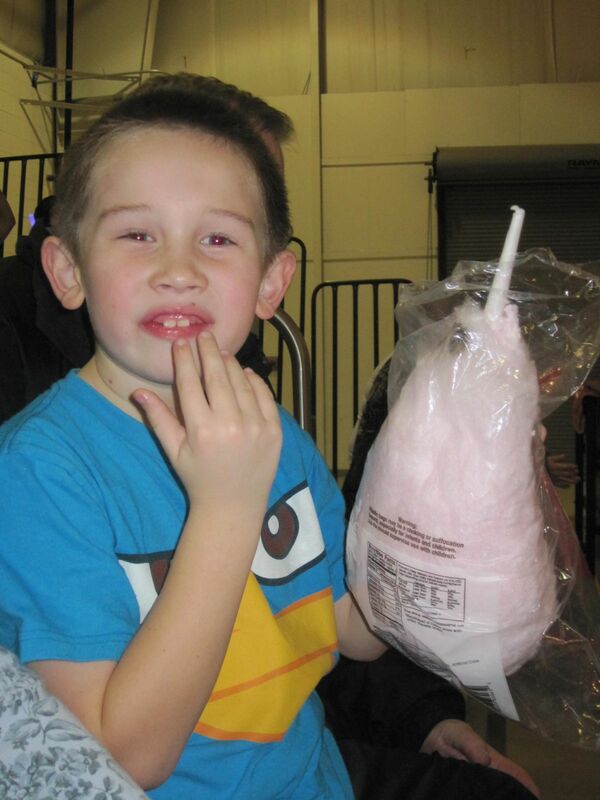 The boys enjoyed the bouncy house before the circus, and the assorted acts. My parents got them cotton candy and toy light sabers. This is Gianni — balancing on tubes. I was having a hard time with the camera from the distance we were sitting, so I stopped after this point. The rest of our visit, we relaxed and hung out. Dave and Timmy went to the Baltimore area to visit one of Dave’s friends’ train stores, and he met a friend for lunch. Jacob and I spent a day shopping with my Mom, which was fun. Jacob desperately needed some new running shoes, so he was stuck with us girls for the day. We also drove out to the Washington, D.C. suburbs to visit some friends for dinner, but that’s for another post. Timmy and my parents all got sick during our visit. That was pretty icky, unfortunately. Mid-week, we loaded my parents’ lawn mower on a U-Haul trailer and made the drive down to North Carolina, where we visited with my sister. Parked at a Cracker Barrel on the way down to central NC.